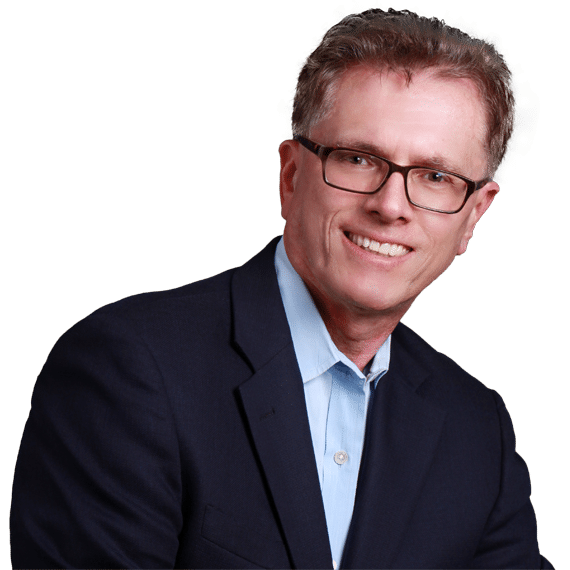 Kurt Kazanowski is a speaker, author and consultant that works with organizations and individuals to better deal with the “tsunami of aging” occurring around the world. Kurt’s work in this area has helped hundreds of health care, hospice and home care companies advance their mission and business objectives, and create a positive and proactive approach to growth and financial health. To employ the principles of NOW, Kurt speaks to organizations, groups and individuals in an effort to help them identify and unleash a newfound vitality and freedom that transforms organizations and individuals to realize, recognize and achieve their goals. Navigating Our World (NOW) is a philosophy and set of principles on how to approach life organizational change and the challenges we all face. Kurt maps out strategies, actions and provides solutions to business and personal struggles. Especially in a time when the tsunami of aging is impacting every facet of the world we live in! This tsunami is creating stresses on health care organizations, businesses, families and individuals alike. Understanding your organization NOW is more important than ever! The future is rooted in the NOW and is based on realizing, embracing and understanding the past so as to take actions to define and create the future. These are principles of life that can be applied to businesses, organizations and individuals as they grow, develop and maneuver through the cycle of life. NOW is about taking action, affecting change and solving challenges that most organizations and individuals face every day as they strive to build stronger, healthier, more productive businesses, organizations, cultures and mindsets. Kurt Kazanowski’ s unique Point-of-View on NOW was created from his 35 years of experience as a Public Health Care Nurse, Hospital Administrator, Hospice and Home Care Executive, businessman, author and international coach and consultant. NOW is all about taking appropriate actions to identify how change stimulates, motivates, and effects development, growth and success at both an individual and organizational level. This ultimately creates an edge to NOW and contributing to your long-term success, organizational profitability and change to create a better tomorrow. READY TO MAKE YOUR NEXT EVENT A HUGE SUCCESS? Kurt Kazanowski is a speaker, author and consultant that works with organizations and individuals to help them create a positive and proactive approach to growth and financial health. Employing the principles of NOW, Kurt speaks to organizations, groups and individuals in an effort to help them identify and unleash a new found vitality and freedom that transforms organizations and individuals to realize, recognize and achieve their goals. Kurt is a successful health care executive and businessman, noted author and sought-after growth performance and aging strategist who assists organizations, employees, individuals and families to maximize their potential. Through his principles of NOW, Kurt teaches the art and science of living NOW to create and live a successful future. The only question is, What are you going to do NOW? All of Kurt’s presentations are customized to meet the specific needs and wants of your group. Following are some examples of presentation topics. Is your hospice organization built to serve more patients, grow and strengthen financial performance? Solve the challenges that will help you advance both your mission and business objectives. Learn how to install seven pillars that will cement a solid plan of growth. Solving problems and addressing everyday life challenges starts NOW. 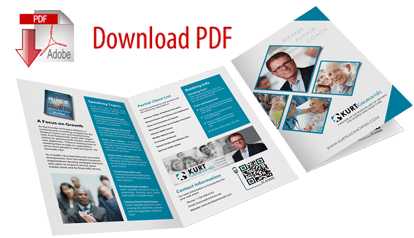 Kurt’s philosophy and set of principles on how to approach life and the challenges both organizations and individual’s face, is what he strives to communicate in his inspirational and thought-provoking presentations. Prepare yourself, as Kurt will challenge your traditional thinking and give you a new framework for success. Why spend another dollar on referral development when you can’t convert your current base of referral inquires? If your 90-day rolling conversion rate is 80% and below, your organization will benefit greatly from this presentation. Leave this presentation with information, tools and new-found knowledge you can use back in your organization tomorrow. Every organization wants to grow; but not all organization are willing to do what is necessary to grow! Do you know what your culture of growth is? And more importantly, do you know how to improve it? Learn the specific steps required to change, grow and prosper. The Tsunami of aging around the world is just starting. In the next 30 years, you will see dramatic changes in every aspect of life caused by this Tsunami. Are you, your family and organization ready? What are the essential things that need to be considered and addressed are the focus of this though-provoking speech? Kurt uses his book by the same name to talk about his inspirational and personal journey so that adult children facing these challenges of caring for aging parents can be better prepared. Lessons of inspiration, courage, hope and joy are at the center piece for this presentation. A Son’s Journey, is a presentation essential in helping adult children, families and businesses plan for something that is an inevitable part of life. Kurt Kazanowski has redefined the formula for an organizations ability to serve more people and grow. Kurt will inspire, motivate and spark new ways to drive success into your organization. Kurt’s thought-provoking and engaging presentations will challenge traditional thinking and open new doors for stimulating, motivating and effecting development, growth & success. Kurt Kazanowski is an accomplished speaker, presenter and coach. He has a passion for sharing solutions and ideas on a number of challenges facing businesses, individuals & organizations. Transforming Organizations and Individuals to Realize, Recognize and Achieve Their Goals. NOW is a philosophy and set of principles on how to approach life and the challenges we all face. NOW is about taking action, affecting change and solving challenges that most organizations and individuals face every day as they strive to build stronger, healthier, more productive businesses, organizations, cultures or mindsets.